If you’re no stranger to fishing, then you will be familiar with braided fishing line. Known for its many qualities, it’s no wonder why it remains a popular choice among anglers. It allows for an easier time when casting long distances among other qualities. If you’re on the fence about investing in braided line, you’ve come to the right place. Here are my four good reasons why a braided line is a great choice. 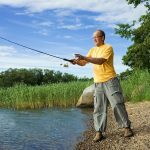 Even though braided fishing lines are known for being thin, they can hold out their own when faced with a tough opponent. Generally speaking, braided lines have a much smaller diameter. However, that doesn’t mean that braids are weak. On the contrary, braided lines are very powerful and aren’t easily broken despite their diameter. Moreover, due to the thin diameter, braided lines cut through the water with ease. As a result, you can reach better depths than other lines typically won’t get to. You may be inclined to believe that, because of how thin braids are, they are not durable. However, that can’t be any further from the truth. In fact, braided line is very durable and is excellent for fishing in structure. It’s a well-known fact that braided lines have very little stretch, which is a quality anglers seek for added sensitivity. 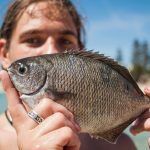 They give you a better feel of the fish underwater – even the slightest and gentlest touch of a potential catch won’t get past you. Because of the extra sensitivity it offers, braided fishing lines are ideal for when you’re looking to catch fish that have a softer bite. When compared to other lines like monofilament or fluorocarbon, quality braided lines can withstand time better. This is because braids don’t take on too much wear and tear, thanks in part to its lack of stretch. Additionally, UV rated braided lines aren’t easily damaged by the sun. While it may not seem like a benefit to you now, an extended lifespan means saving on money in the long run. 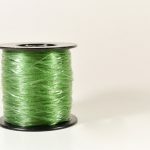 Braided lines are also versatile, so you can use them with virtually any type of fishing reel. 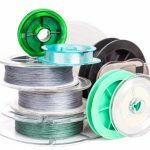 There are a number of myths when it comes to braided lines. 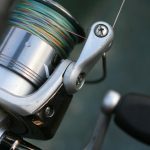 Some may say that you’ll end up spending more if you opt for a braided line. However, that’s completely false. Braided line is suitable for a wide range of fishing techniques. 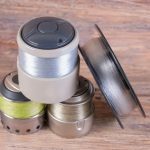 All in all, there’s no doubt that a braided fishing line has a lot to offer in terms of durability and flexibility. But, hey, don’t take my word for it. Try it out for yourself and see why braided fishing line is so popular. Is there anything else you can add to this article? Share your experience below.